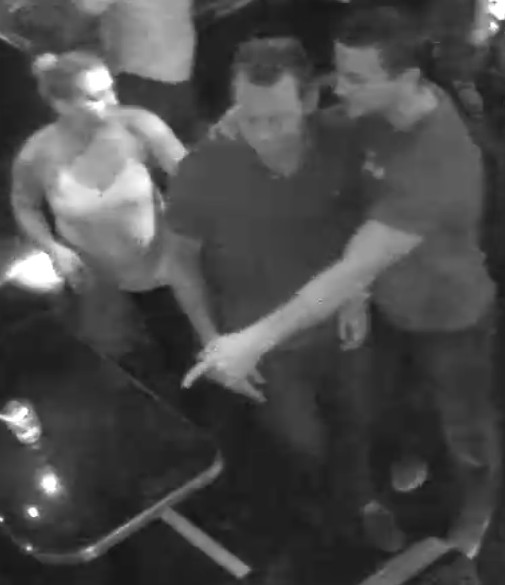 On 11/18/2015 at about 1:30 am, the Male subject depicted in the middle of the picture was assaulted while at a bar in the City of Santa Monica. The victim sustained a head wound. He left the establishment prior to police arrival. Inquiries were made to local hospitals but none of them had any new patients possibly related to this investigation. At this time, the Santa Monica Police Department is seeking information related to the identity of the above victim to continue this investigation. The suspect responsible for this crime was identified and arrested. No public safety concern exists at this time. If you witnessed the incident or have additional information, please contact Detective Daniel Larios at 310-458-8937, Sergeant Maury Sumlin at 310-458-8451, or the Watch Commander (24 hours) at 310-458-8427.